Beck's release Song Reader presents an interesting, and older, concept for music distribution: rather than release a recorded album, Song Reader is available as sheet music. 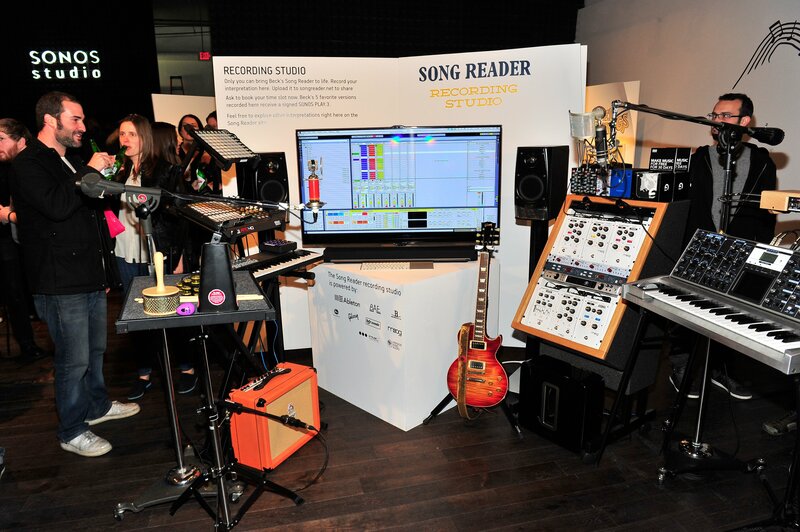 Ableton Certified Trainer Yeuda Ben-Atar, working with Sonos Studio, has assembled a pop-up studio for interpretations of Song Reader, including a computer with Live, an APC40, a Launchpad, and other controllers and instruments. On Saturday, March 2, Yeuda will present a Live 9 & Push workshop at the pop-up studio at 3 PM. The presentation will be paired with an artist Q&A by Justin Meldal-Johnsen (Beck, M83, Nine Inch Nails) and Joey Waronker (Beck, R.E.M., Atoms for Peace) on approaches to songwriting and production.